Huawei aimed for the heart of its mid market competition, launching its R5 000 Ascend P6 at a swank launch event in Sandton last night. Here are our top three impressions as to why other phone makers should be on guard. To start with the device is really thin at 6.18 mm, and surprisingly light (120 g) in the hand. 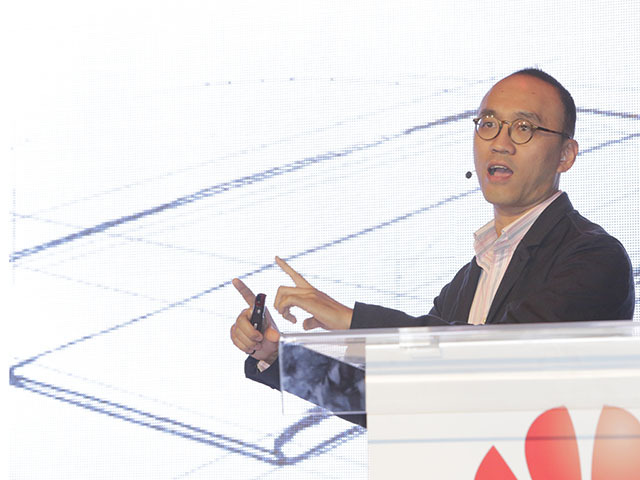 At the launch, Clement Wong, Huawei’s global go-to-market director, explained that the P6’s design was inspired by the humble sheet of paper, intended to similarly offer a slim profile and natural curvature. Additionally, the 4.7” device’s thin profile means it can slip easily and unobtrusively into a jean pocket, while also boasting an elegant and ergonomic air. Refreshingly, the smartphone further boasts a brushed metallic body, and certainly feels and looks like a premium device. This is a refreshing change from even some high-end, and higher priced offerings, which have their design and build marred by the presence of plastic. On the specs front, the P6 is no slouch, sporting a 1.5 GHZ quad-core processor, Android Jelly Bean (4.2.2), and 2 GB of memory. Thus, it came as little surprise that the phone was swift and responsive in our initial general use. Also onboard the smartphone are two cameras, namely a front facing 5 megapixel one and an 8 megapixel back snapper. Huawei appears to have gone to lengths to simplify actually shooting with the phone, incorporating its own IMAGESmart software. This offers contrast and colour enhancement, auto scene recognition, object tracing focus, and instant facial beauty support, and left us quite impressed with the images it produced. Also winning us over was the inclusion of full HD (1080p) video and macro facility from as little away as 4cm. While the phone is aimed at the upper end of the mid market with its R5 000 pricetag, Huawei didn’t hesitate to compare its cameras to those found on the high-end Galaxy S4 and the iPhone 5. Lending the Ascend P6 its own aura of distinctiveness is the Emotion user interface (UI). Admittedly, users tend to be split over customised user interfaces in general, with some loving company’s individual treatment, such as the case with HTC’s Sense, and others hating what manufacturers do to their version of Android (TouchWiz, anyone?). Huawei’s own proprietary user interface, the Emotion UI, actually does the phone proud without producing unnecessary hassles. Thus it offers updates to Uni-Home (which combines the home screen with the main menu), including enhanced security, Me Widget, MagicTouch, and SmartReading, while newly included are the panoramic shot and facial recognition photography functions. A variety of themes also enables users to customize the general look and feel of the interface to one’s liking. Additionally, the device is currently available in black or white from MTN for R5 000, with a pink version coming later this year, and Vodacom and Cell C stocking the phone from September. 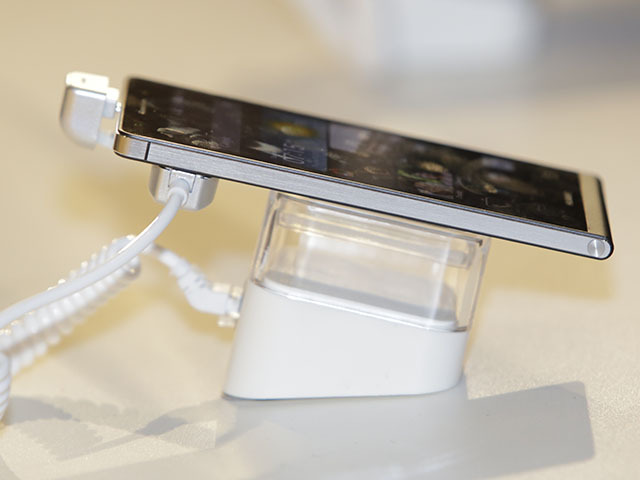 At 6.18 mm thin, the Ascend P6 certainly shouldn't be uncomfortable nor unweildy in a jeans or jacket pocket. “Huawei’s reputation for industry-leading technology is a result of over 20 years experience in the ICT sector, as our business continues to grow by 10% year on year amidst the economic challenges,” commented Mr Li Dafeng, president of Huawei Eastern and Southern Africa Region. “Our smartphones are reasonable in price, yet offer the latest technology and high quality performance,” he added. What with BlackBerry– traditionally a favourite on this side of the pond – experiencing significant uncertainty over its fate, it certainly seems as though the opportunity exists for Huawei to step into the breach and win over local consumers. If this though, is the kind of phone they produce as an upper mid-market offering, we cannot wait to see what else they have in store, because the Ascend P6 is certainly an attractive and appealing device any way you slice it.